Since 1855, we’ve been providing family-run removals in South Wiltshire and have become renowned for the degree of care and attention we give to each move, looking after your most cherished belongings as if they were our own. When you’re looking for a removals company in South Wiltshire, you’ll be hard pressed to find one that moves you as well as us. From removals to storage and self-storage, from man-and-van hire to domestic and overseas shipping, we’ve got everything you’ll need. Removals companies in South Wiltshire are few and far between that come up to our standard. Our storage facilities in Gillingham come with the same degree of quality as our home removals – 180 years of experience really does make a big difference; there’s a lot that we’ve learnt, refined and honed. We also do office and corporate moves, with companies coming back to us over and over again because they can’t find our quality elsewhere. If you’re moving and can’t take all your belongings at once, then you’ll need Storage in South Wiltshire, and we’ve got it. For businesses and homes, our storage units, which stand 8ft high (measuring 5 by 7ft at the bottom), are the perfect solutions for both long- and short-term needs. We know what to do with specialist items, like instruments and works of art. For example, if you need to store a valuable and much-loved piano, we’ll house it in our temperature-controlled, piano room where it will come to no harm. 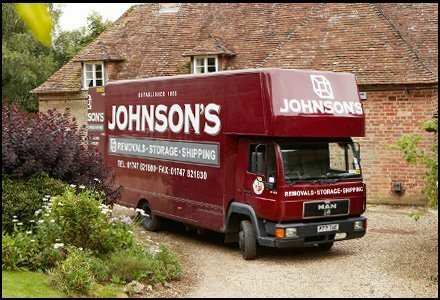 So, from our no-obligation quotations right through the final stage of your move, when we can reassemble furniture and complete complicated IT relocation requirements, you’ll find that Johnson’s does it all in exemplary and efficient style. Our fast-thinking, hard-working movers, drivers and packers appreciate the stress you may be under in the time leading up to and during your move. They’ll take this into account so that they can make your moving day far more seamless and smooth than you would have thought possible. Every precious item entrusted to our care is loaded into vehicles carefully, so that it reaches its destination unharmed. From the moment our estimators visit you to work out what your move requires, you’ll feel that elusive sense of relief that happens when you know you’re in safe and sensible hands.